Hennig, Nicole. 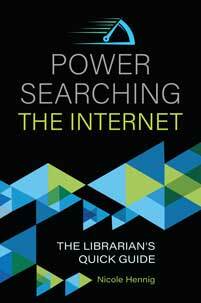 Power Searching the Internet: The Librarian's Quick Guide. Libraries Unlimited, 2018. ABC-CLIO, publisher.abc-clio.com/9781440866982.